Ceva’s new tool to help tackle trypanosomiasis in cattle has been welcomed by a leading vet in Kenya. Trypanosomiasis is a zoonotic disease, known as sleeping sickness in humans, that is spread from cattle through the bite of the tsetse fly. As well as causing illness and possible death in people, ‘nagana’ as the bovine disease is also known in Africa, brings on a wasting condition in cattle which causes prolonged distress to the animal and often proves fatal. The disease has affected the livelihoods of millions of farmers and their families. 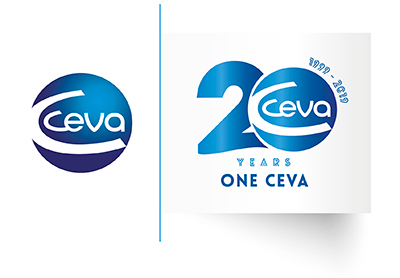 Ceva has long worked to combat trypanosomiasis and sleeping sickness in Africa, including through our Stamp Out Sleeping Sickness (SOS) campaign. Now, Ceva has worked together with a number of partners, including GALVmed, CIRAD and the University of Bordeaux to create a new tool: Very Diag. VerY Diag is the first rapid field test for the diagnosis of bovine trypanosomosis and works by taking small blood samples from animals. The samples can be analyzed in under 15 minutes, revealing whether the test has been conducted correctly, whether the animal is free of trypanosomiasis – and in the unfortunate case of infection – what strain of the disease is present. VerY Diag has been welcomed by leading African vet, Dr. Joseph Othieno, who is an officer of the Kenya Tsetse Trypanosomiasis Eradication Council (KENTTEC) which is working to eradicate the deadly disease that has killed hundreds of thousands of cattle and infected people throughout sub-Saharan Africa. Until now identifying trypanosomiasis has had to be done under clinical conditions back in the laboratory and this is a time consuming and costly process. Now you can take the test to the animals in the field and from a simple blood sample identify whether the disease is present in around 10 minutes. Dr. Othieno, who was named ‘Veterinarian Of The Year’ by the Kenya Veterinarian Association in 2016, said the challenge now is to ensure that the kits are made available to all farmers, including poor families who rely on cattle for their income. I think that when serious farmers consider the cost of the kit, set against the economic losses that can be caused by the disease, they will realize it is something that is worth trying.